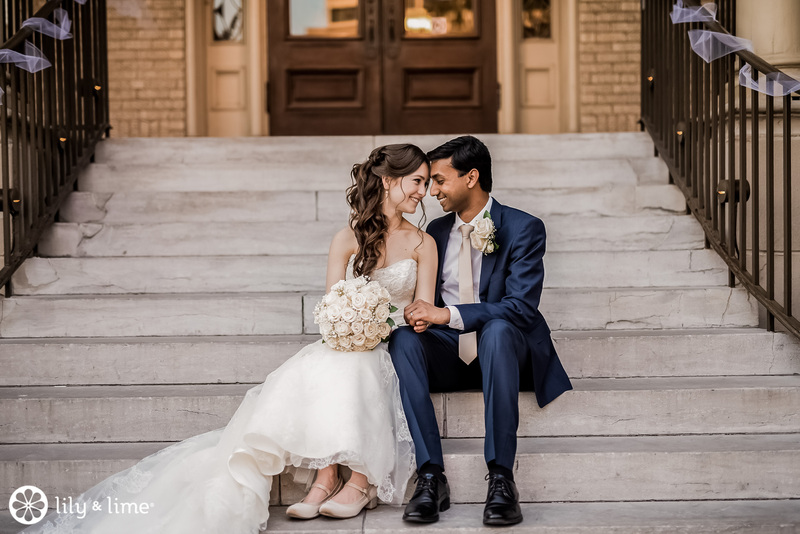 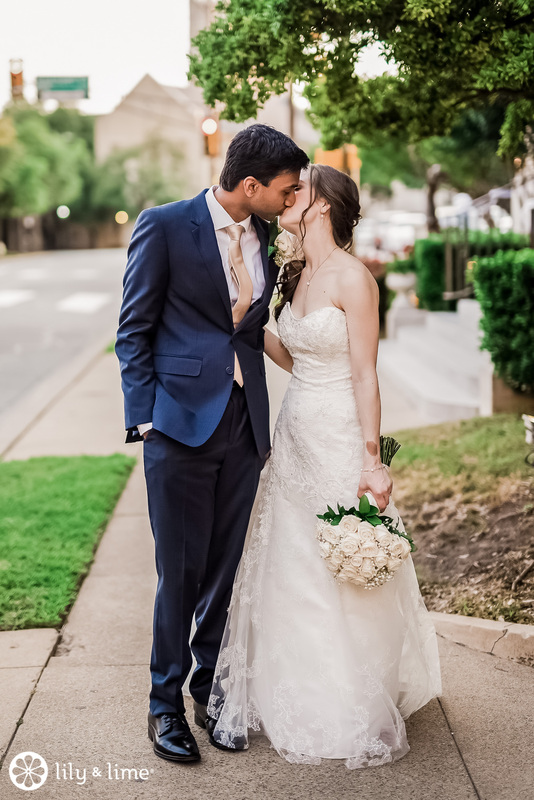 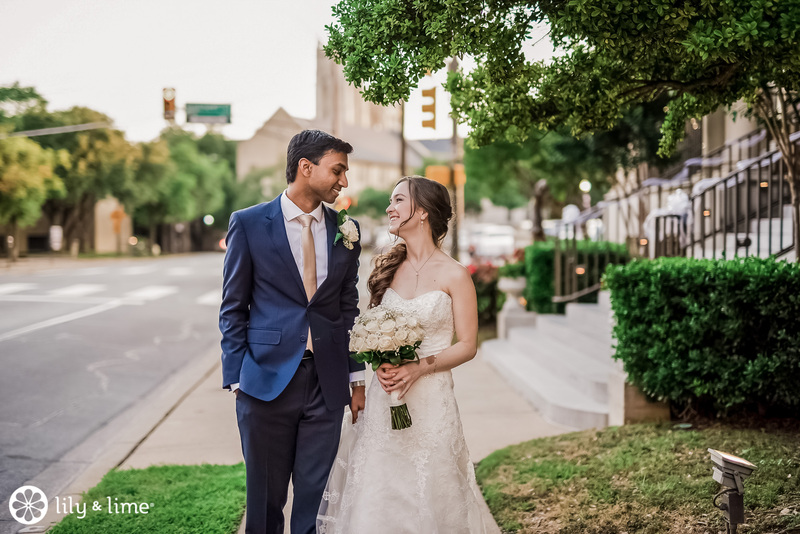 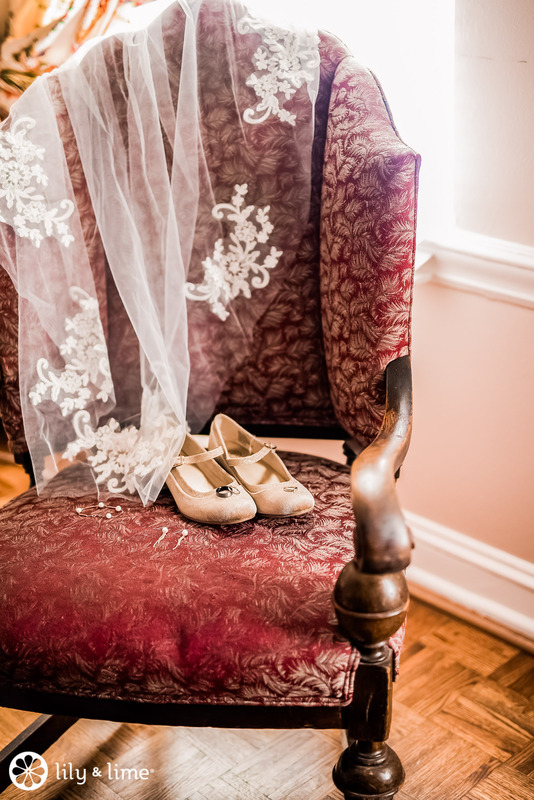 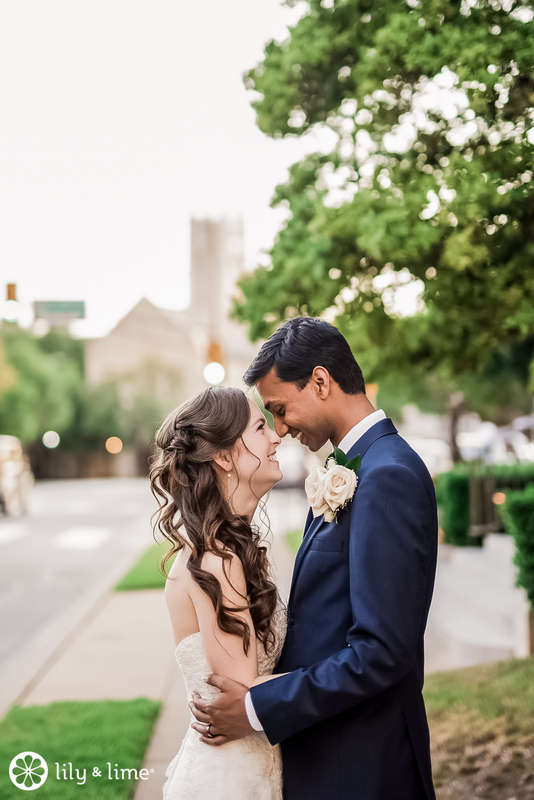 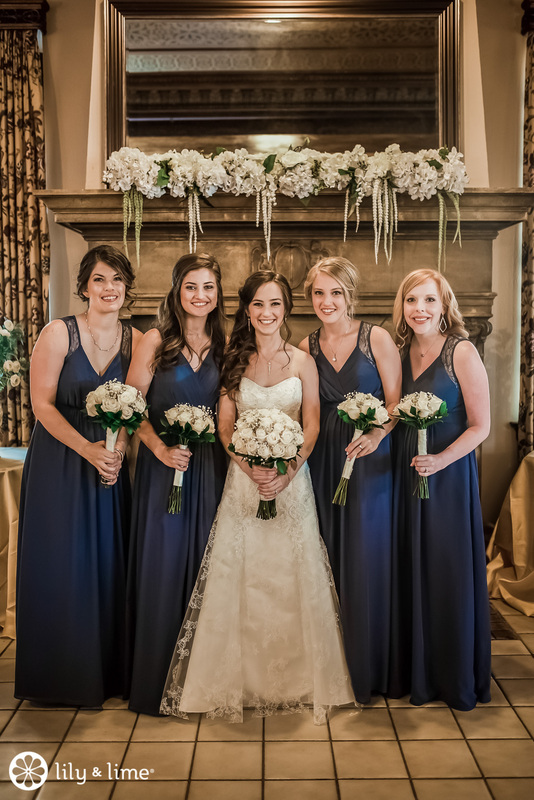 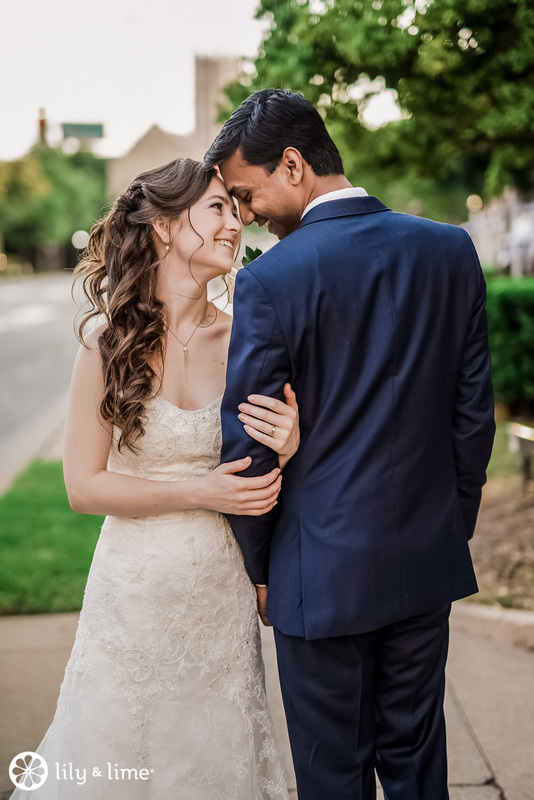 Amanda and Jason showed us how simplicity can be the key to sophistication in their Dallas wedding. 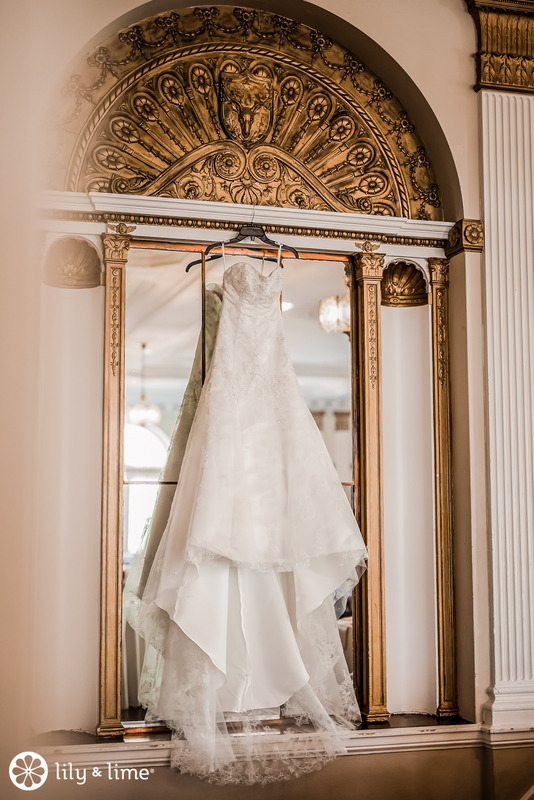 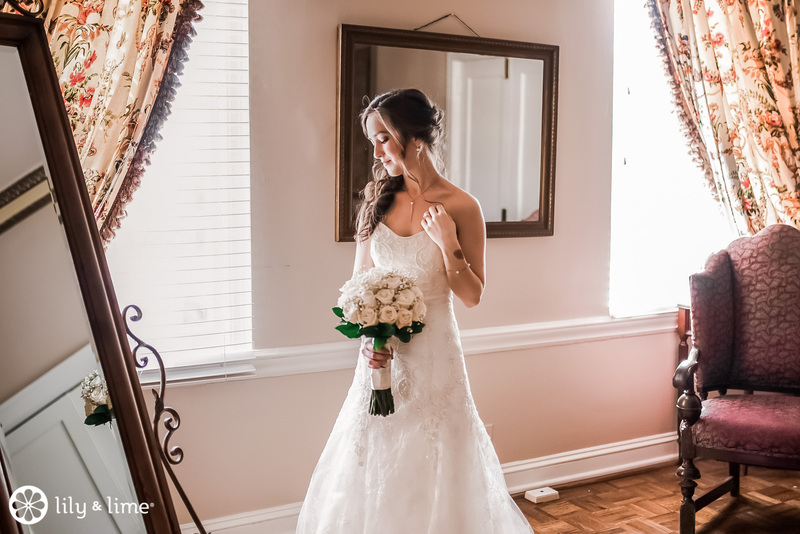 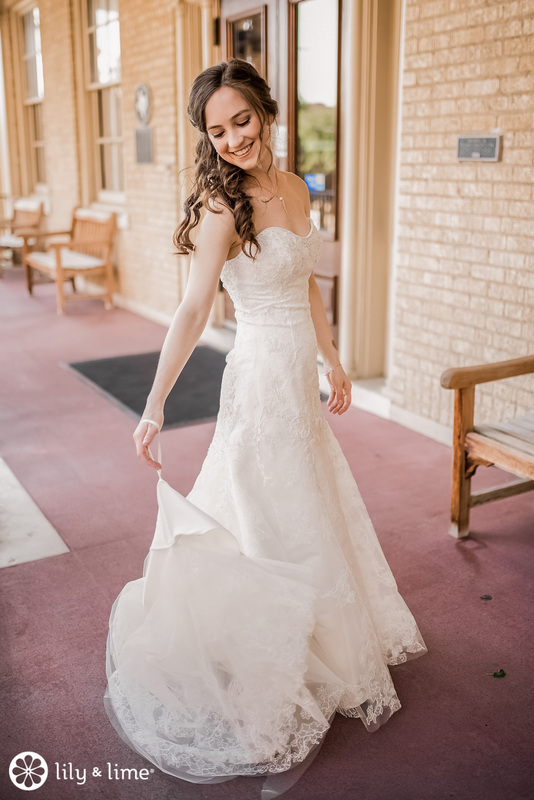 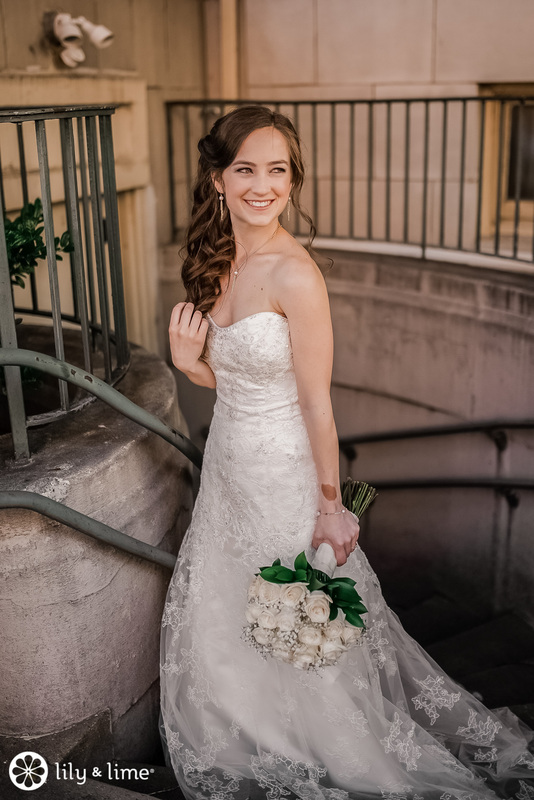 Amanda wore a beautiful strapless gown. 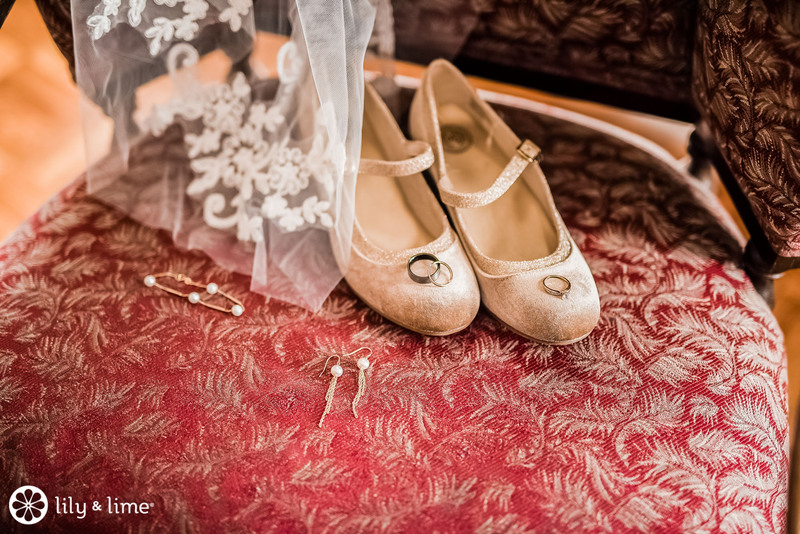 We love the way the simple silhouette allowed her to shine and drew attention to the drama of her train. 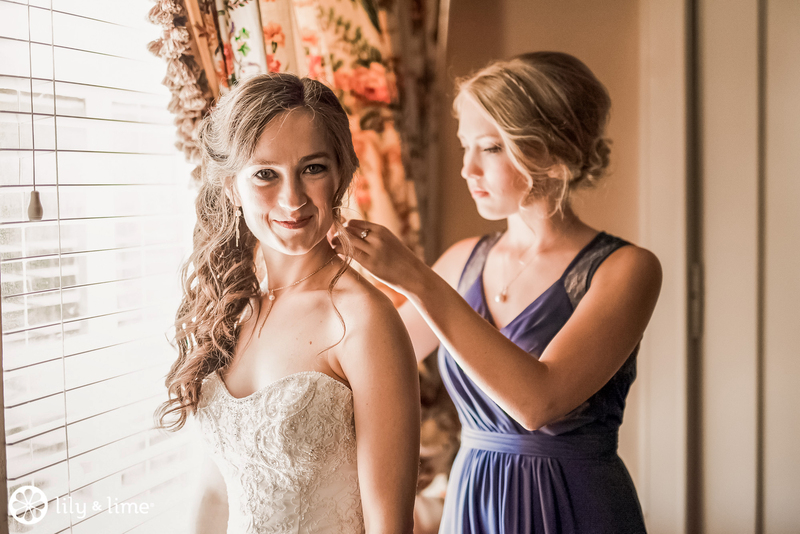 She wore her hair half up, with cascading curls complementing the neckline of her dress. 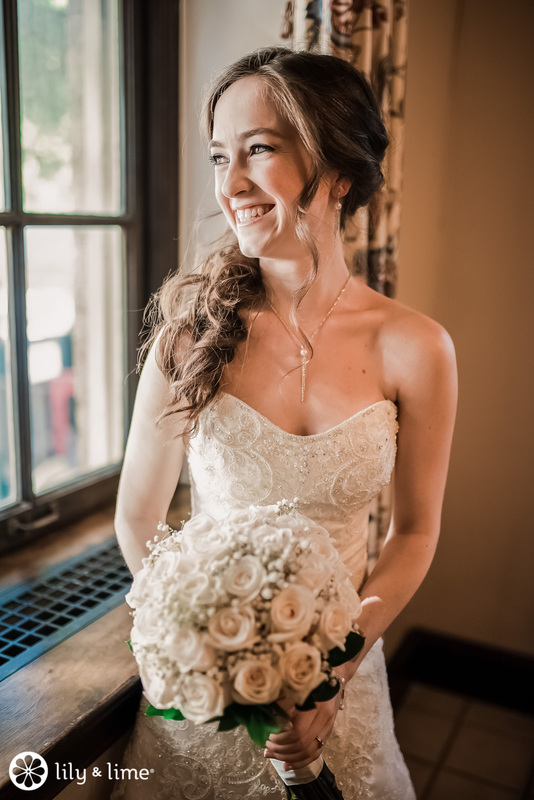 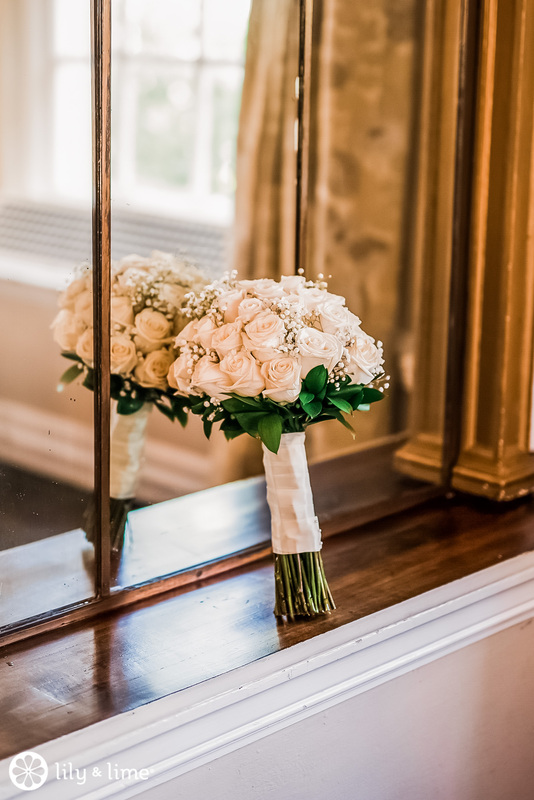 This bride kept it monochrome with a white bouquet, and we love the way this gives us winter wedding vibes-- especially in warmer locations. 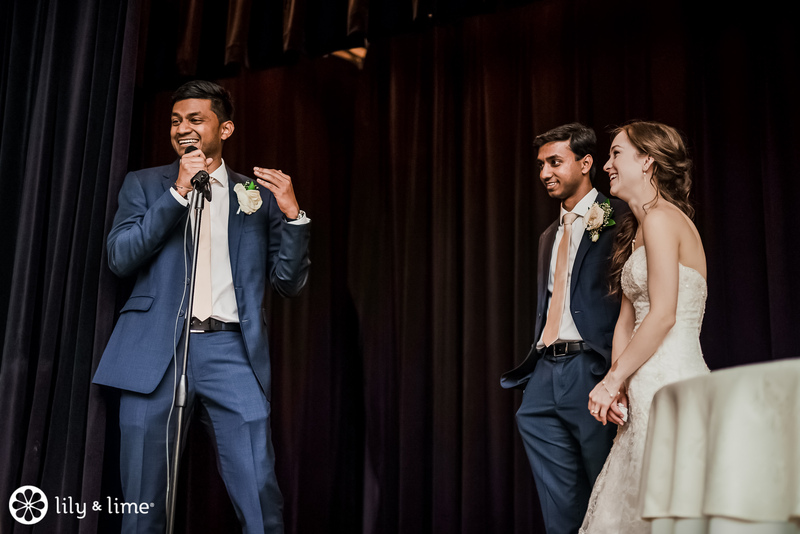 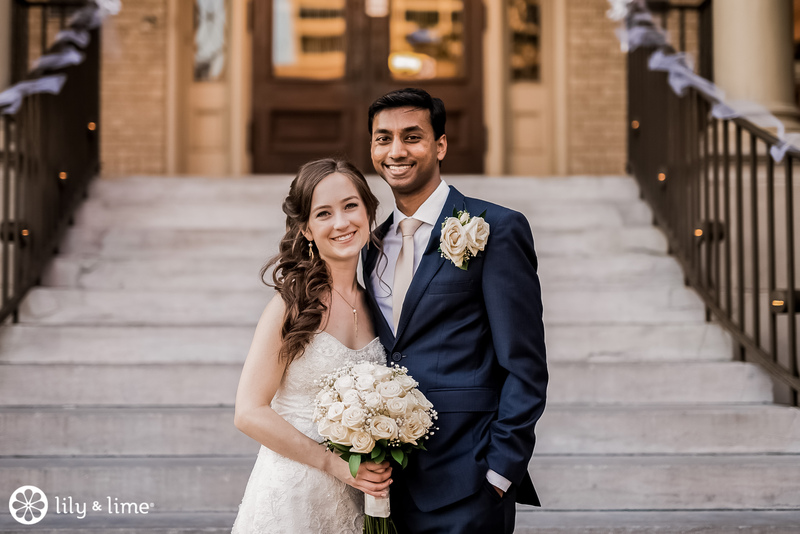 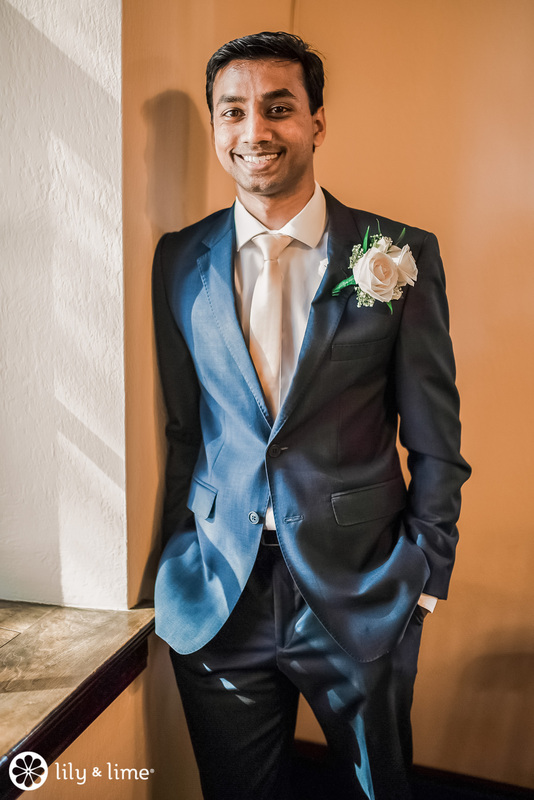 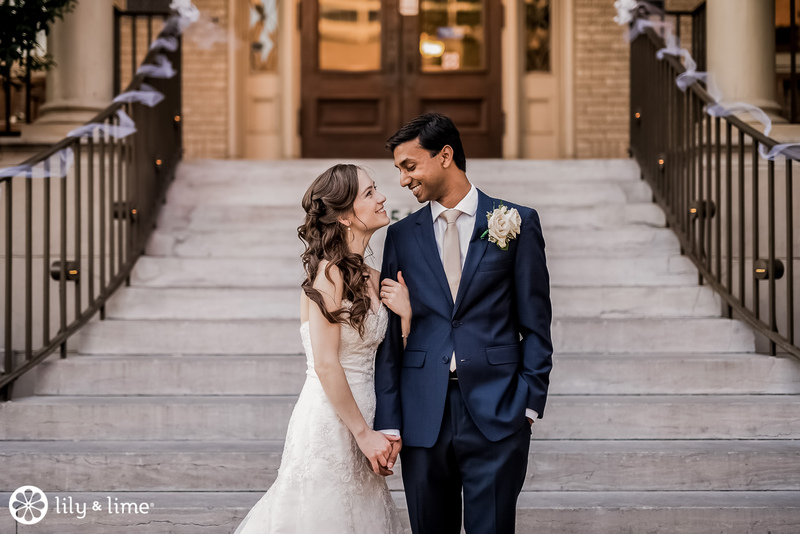 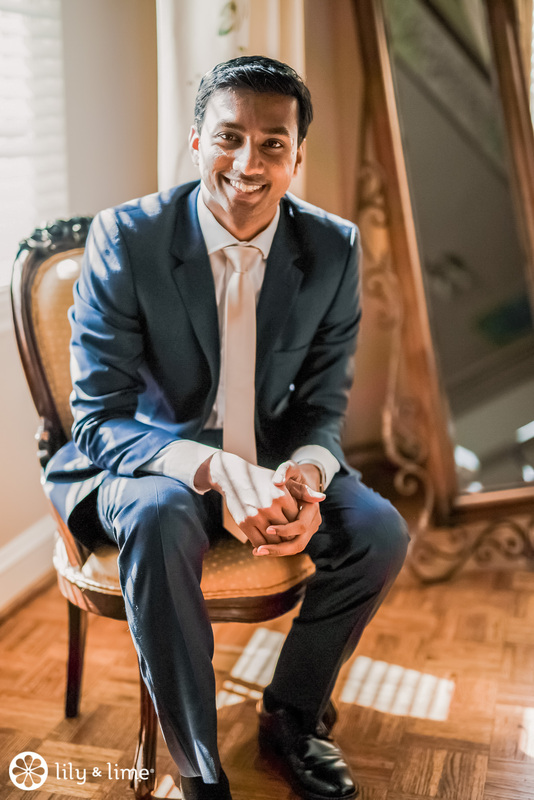 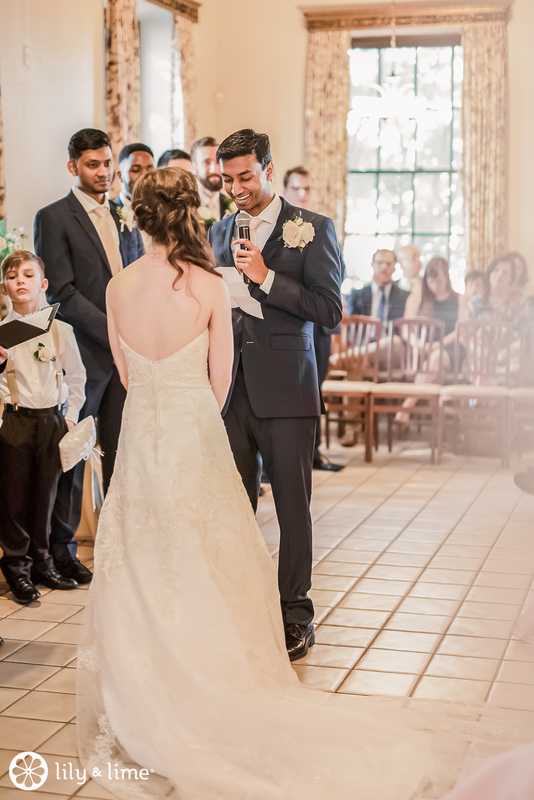 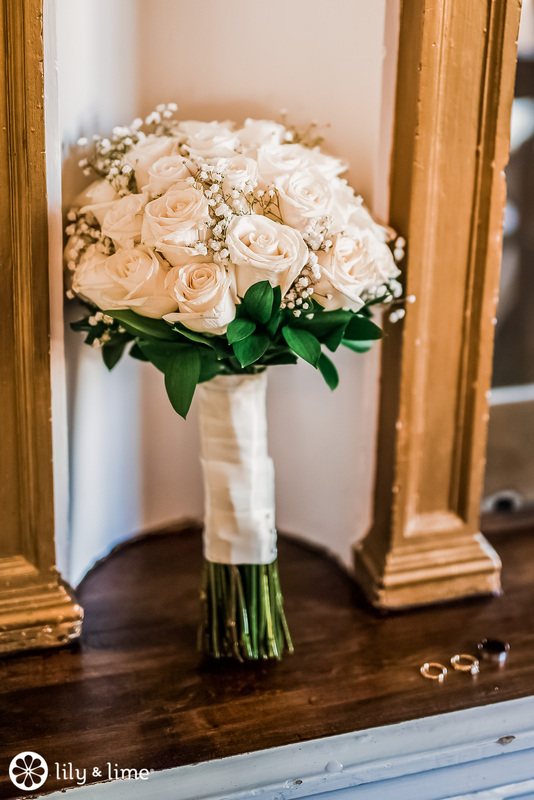 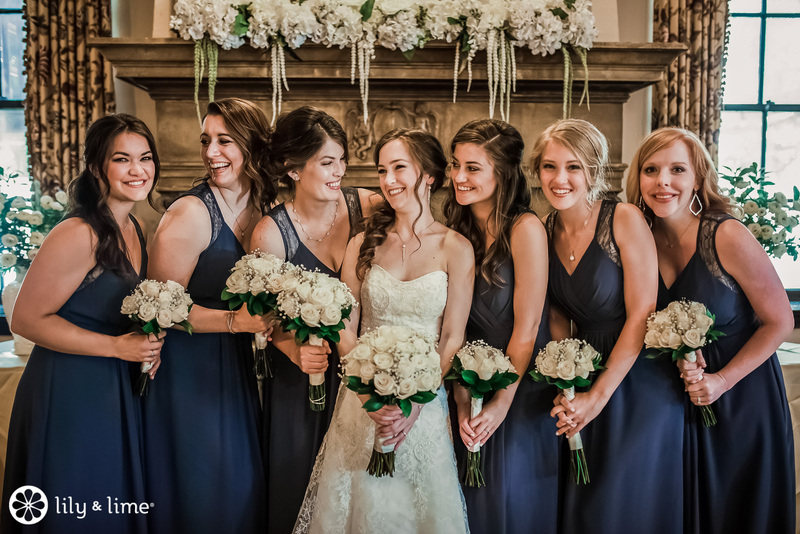 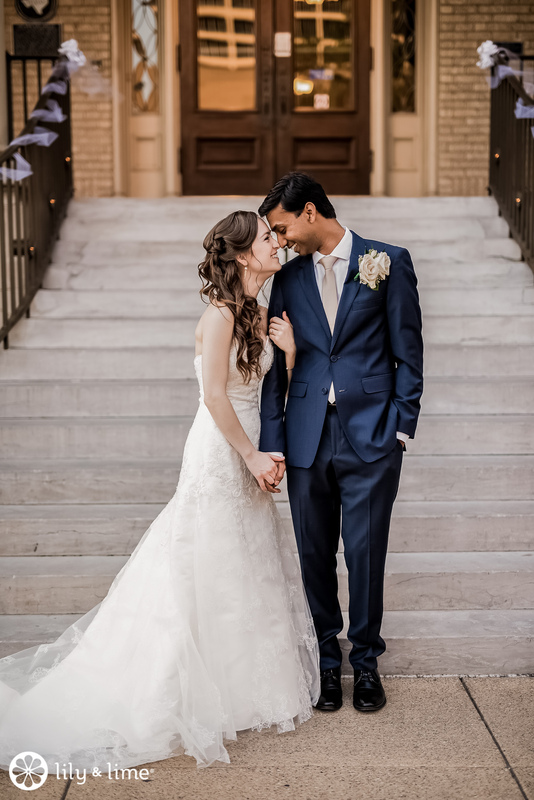 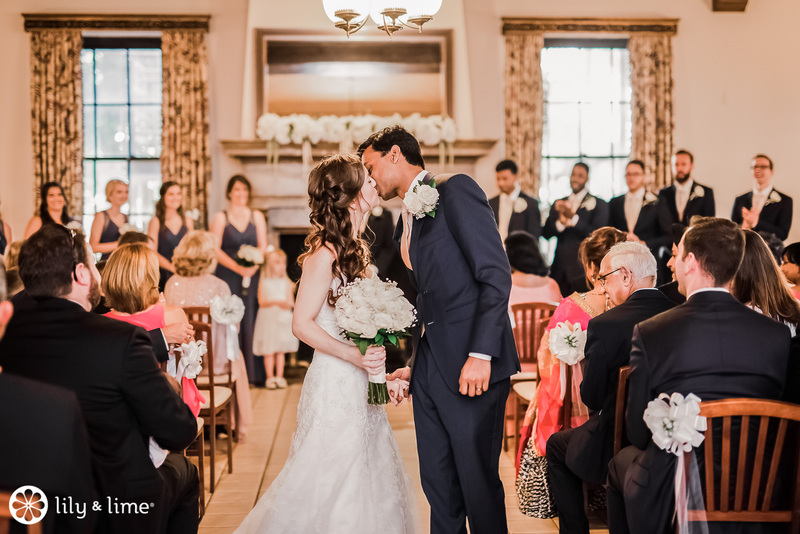 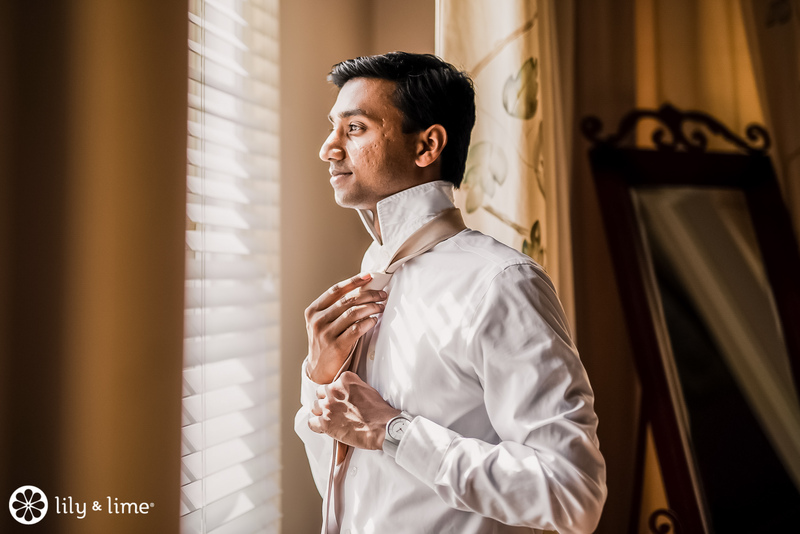 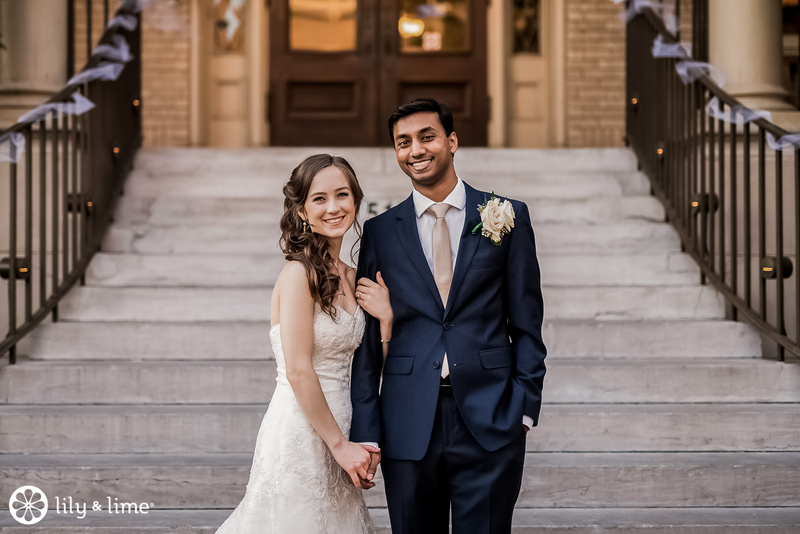 Jason wore a navy suit with a blush colored tie and a festive boutonniere in blush and white. 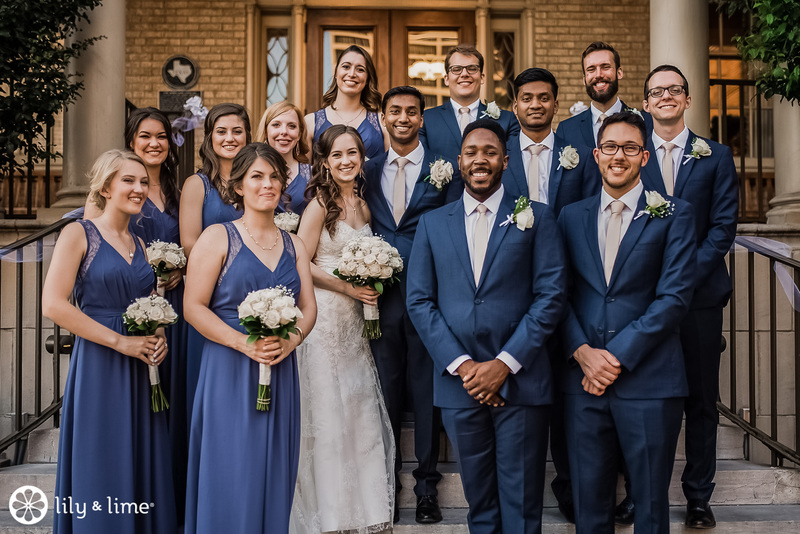 The groomsmen and bridesmaids also wore navy. 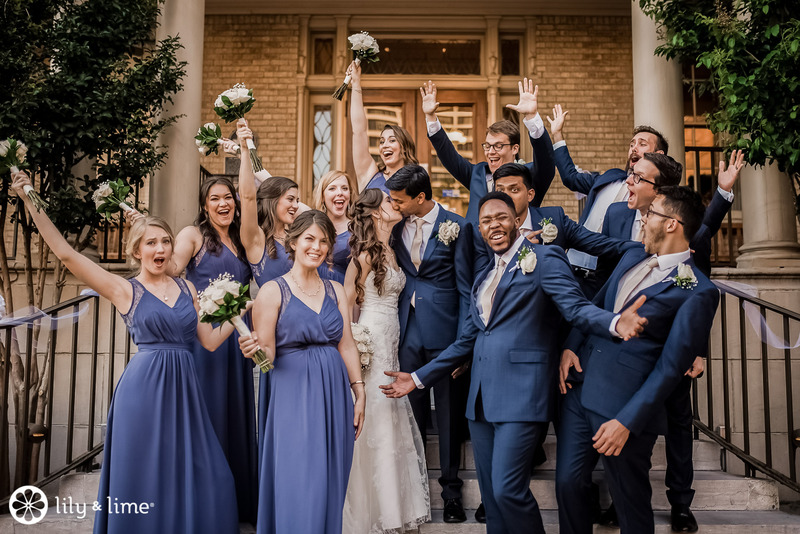 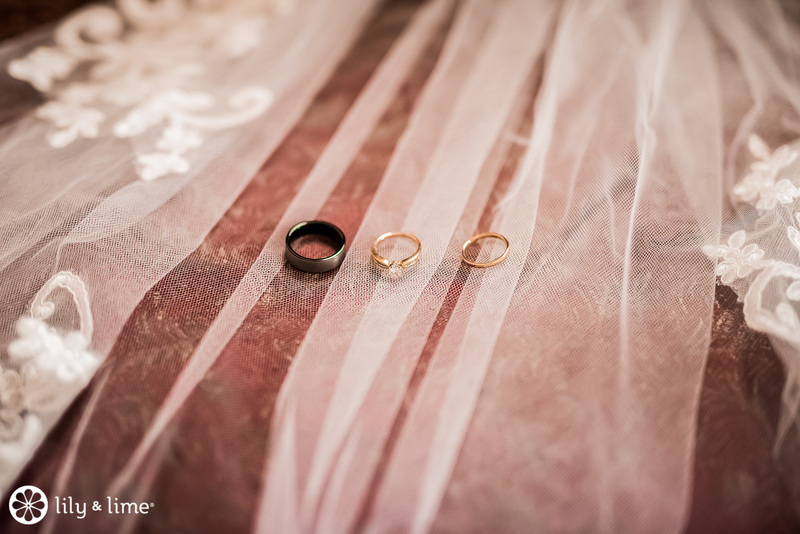 We love how the minimalism gave the wedding party a cohesive and sophisticated look on the day and in their wedding photography. 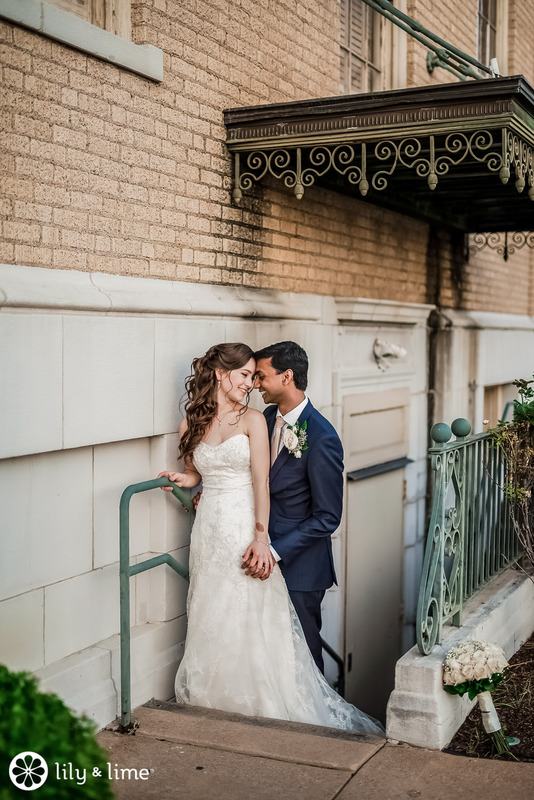 Worry not, this couple didn't miss an opportunity to use blush again. 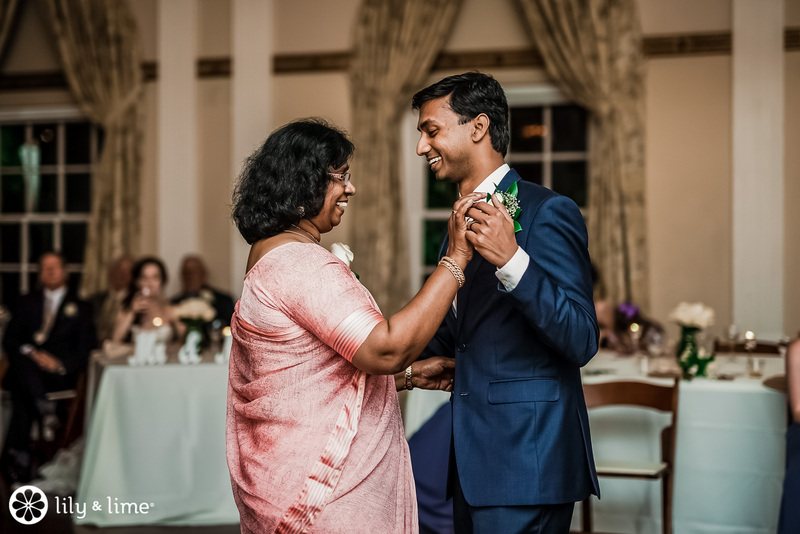 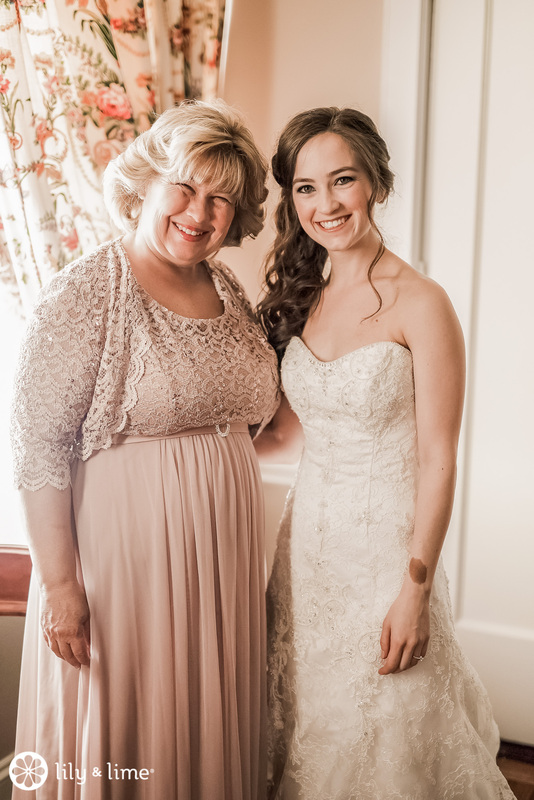 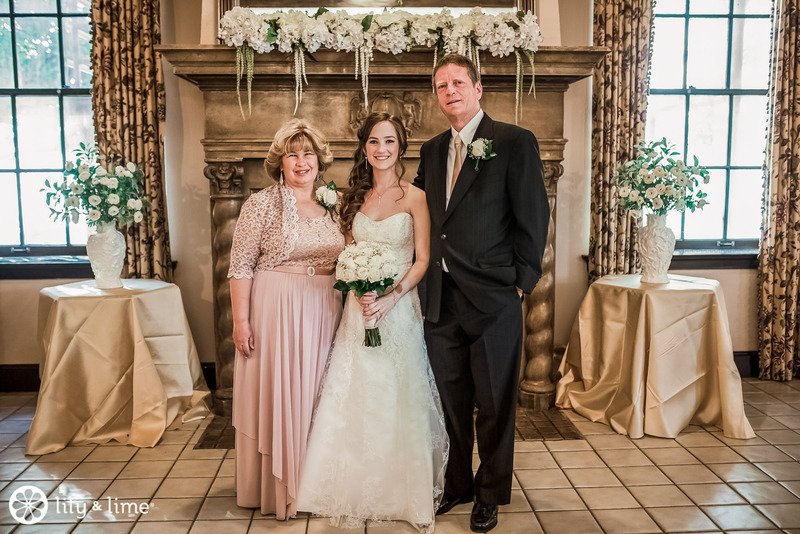 Both the mother of the bride and the mother of the groom donned blush dresses matching the men's ties. 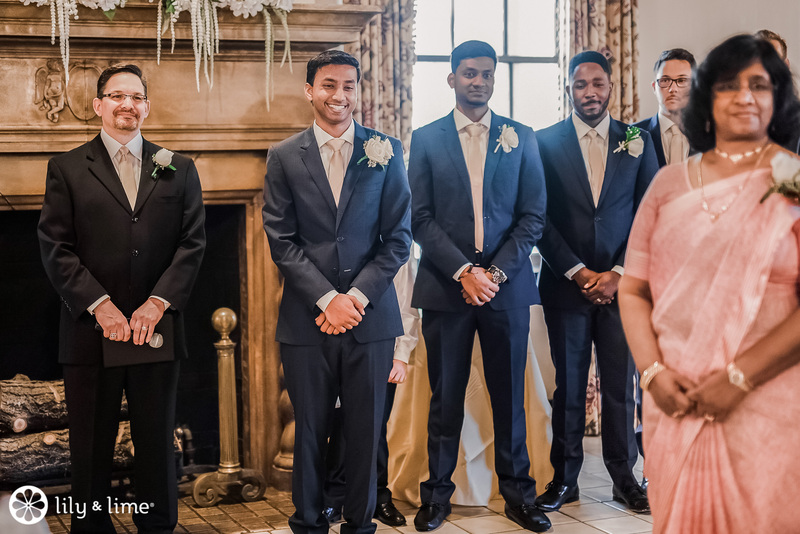 The dads wore blush ties with black suits. 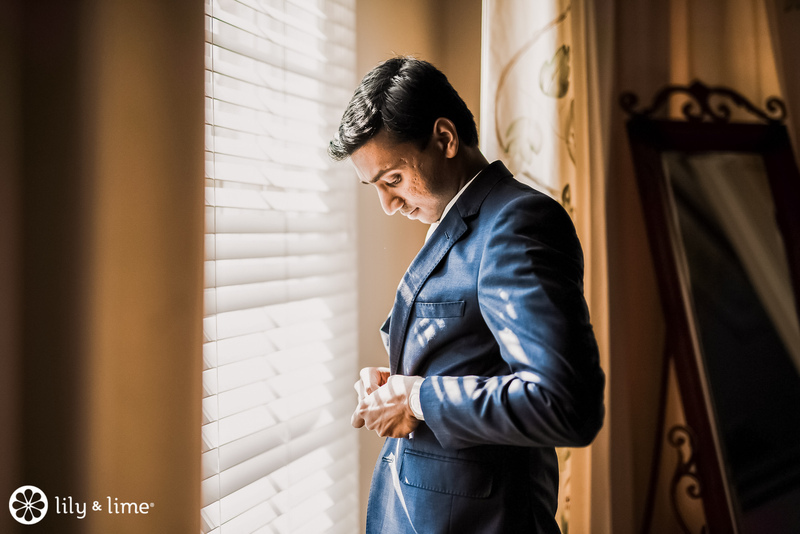 One of the most exciting elements for a wedding photographer is capturing the emotion of the day, and it doesn't get better than that shot of Jason looking at Amanda as she walks down the aisle. 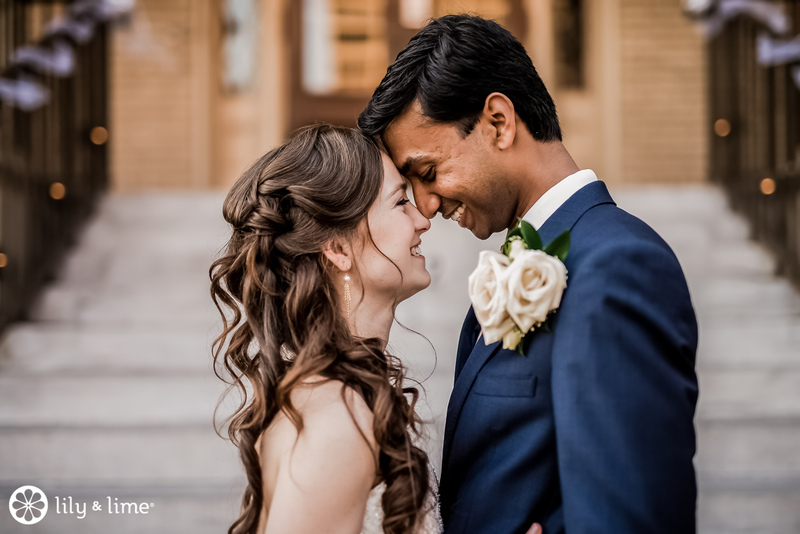 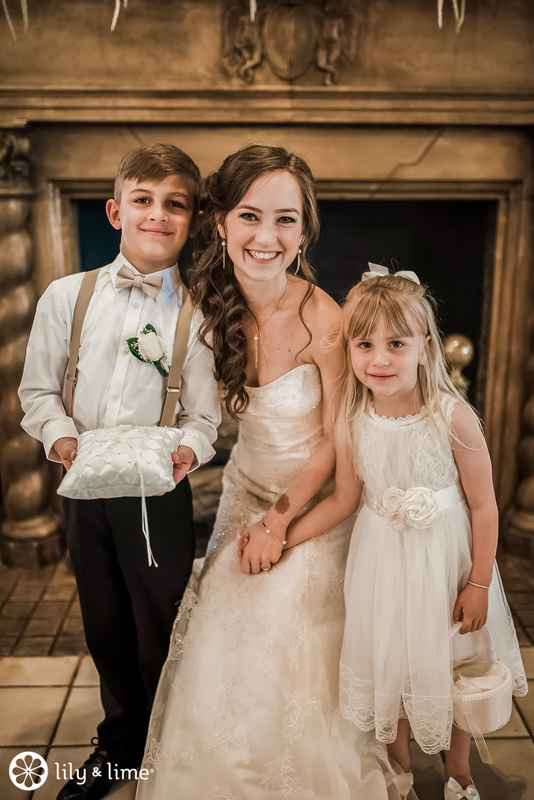 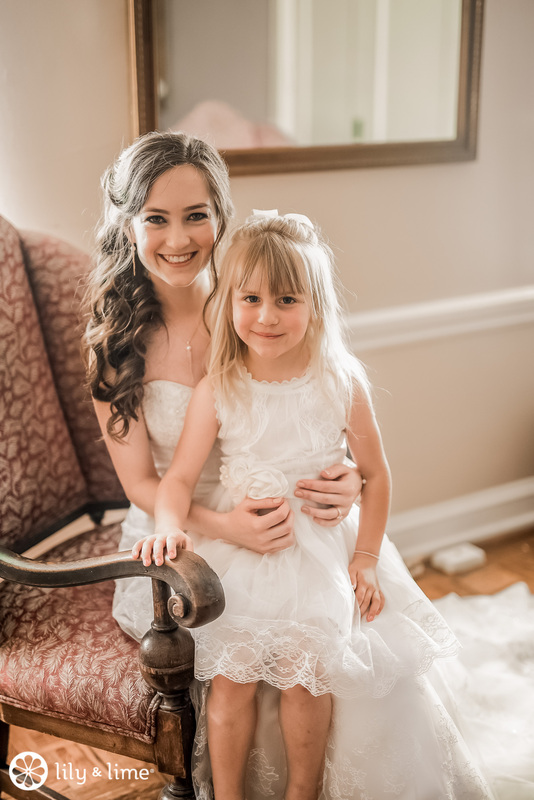 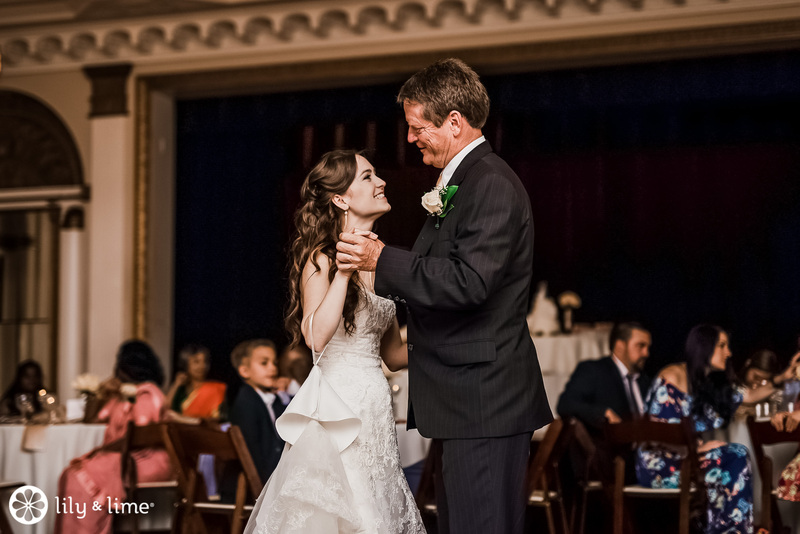 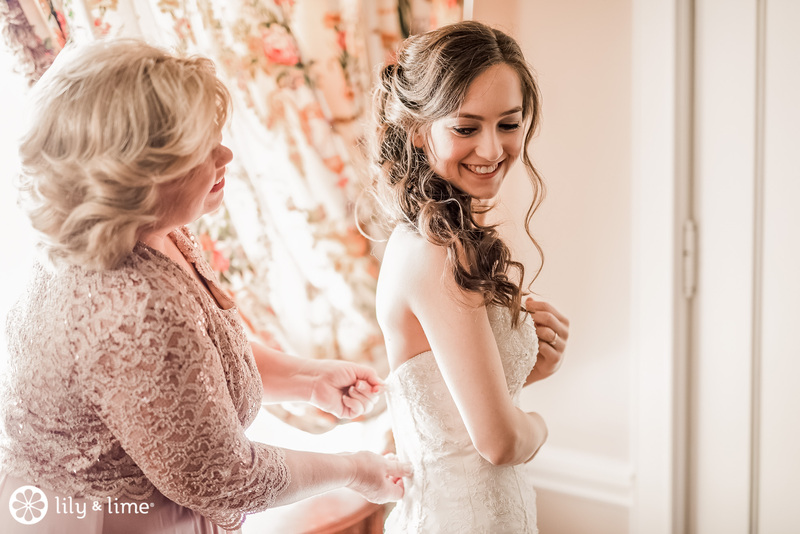 That expression of love and pure joy is what makes the wedding photos such special keepsakes. 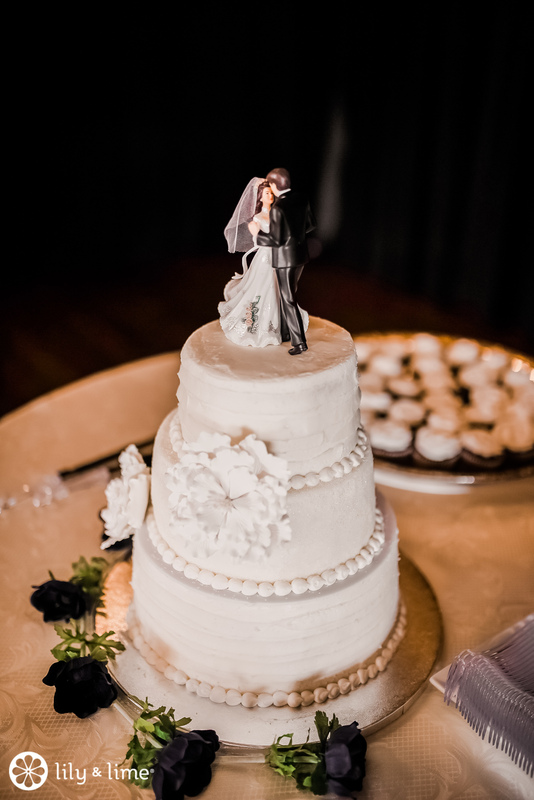 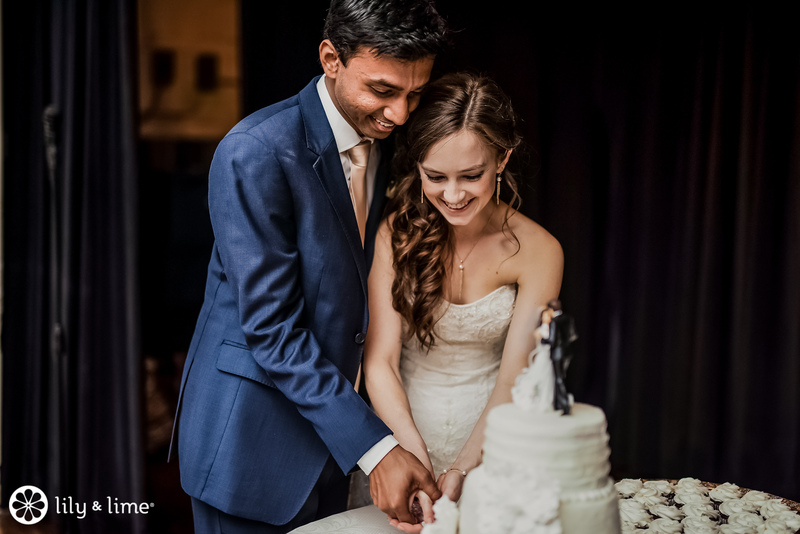 The couple opted for an all-white cake, which added to the minimalist sophistication of the affair and looks exquisite in the cake cutting photos. 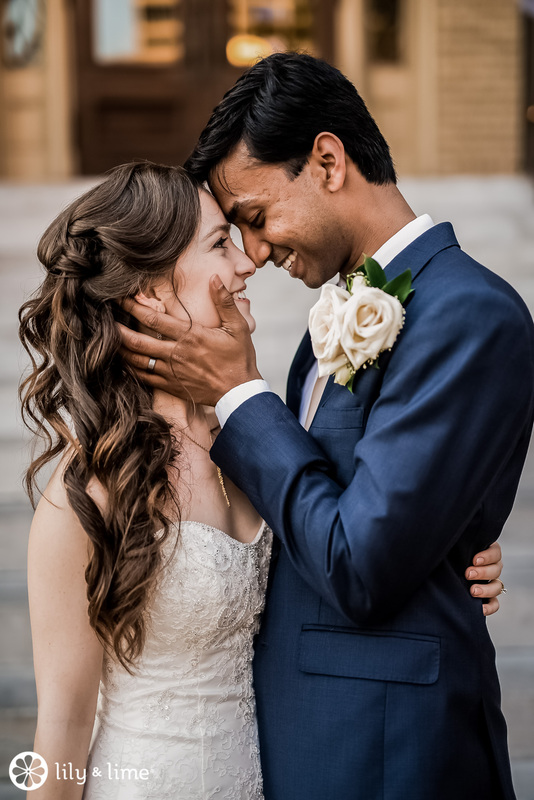 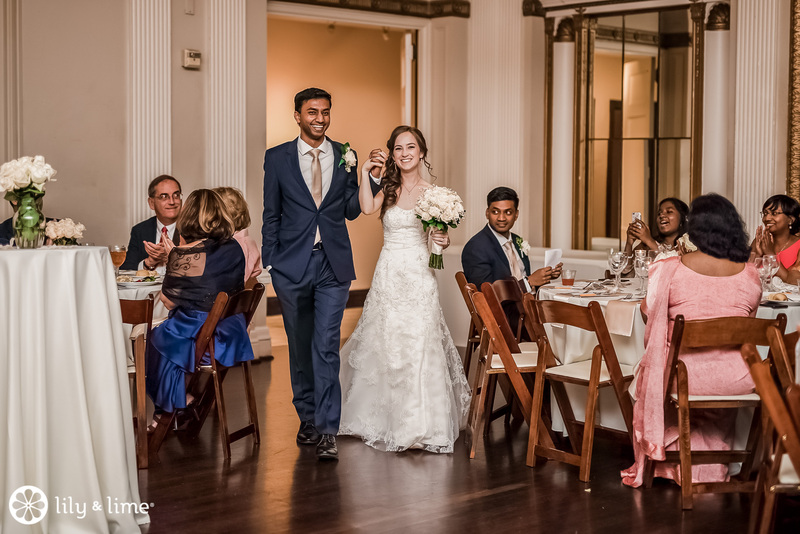 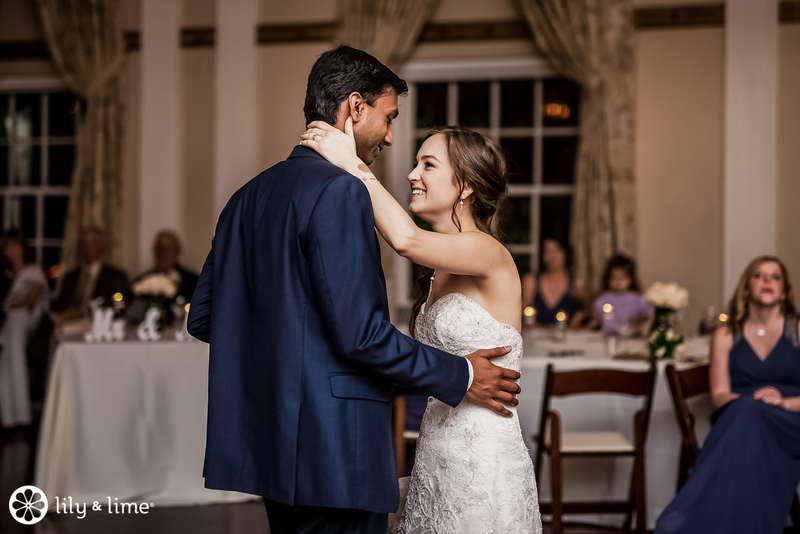 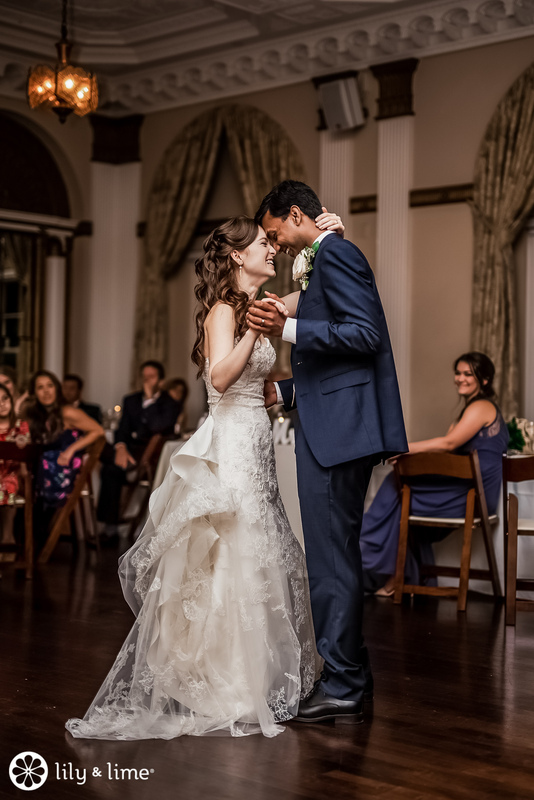 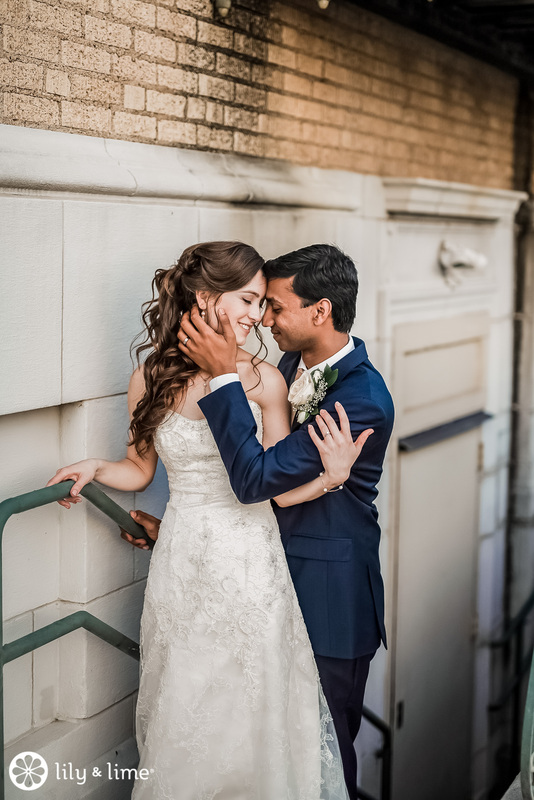 Once they'd had a bite of something sweet, the couple hit the dance floor for some unforgettable moments. 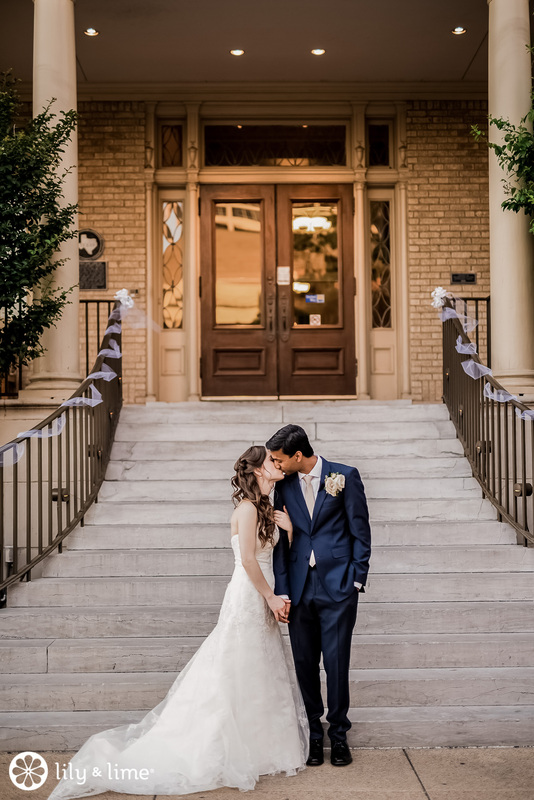 Looking for more real-life wedding inspiration? 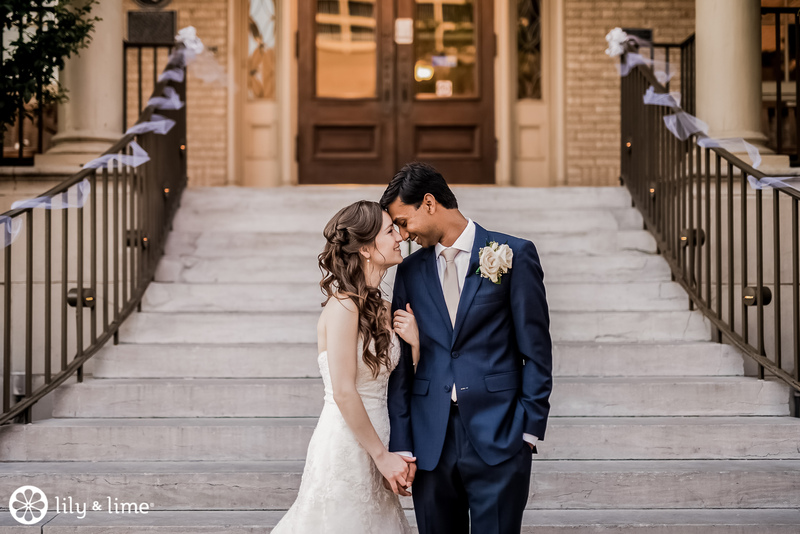 Check out the rest of the blog!